In our household anything monkey related has become a point of huge joy for M since she adopted her toy monkey as her favourite comforter. 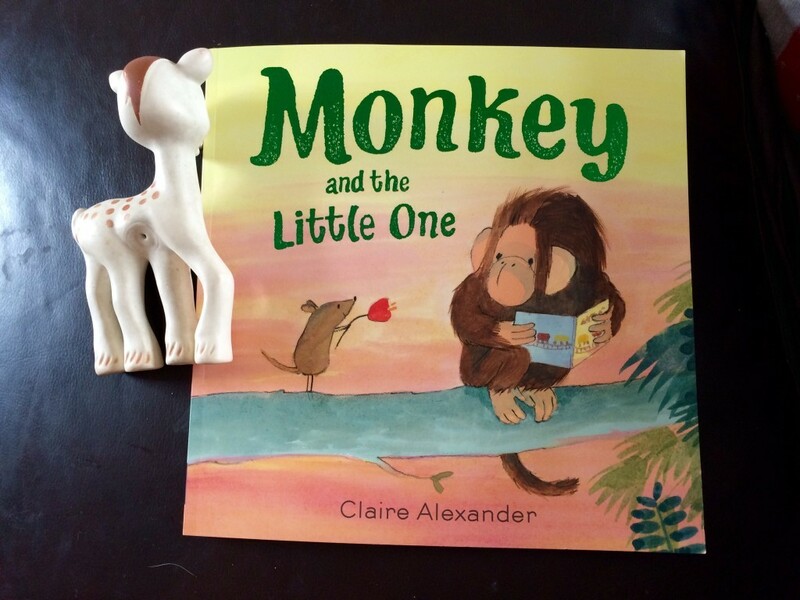 We now find ourselves being drawn to anything monkey related so when I was offered a copy of Monkey and the Little One by Claire Alexander I just could not refuse! Quite quickly this book has become one of M's favourite bedtime books and she loves pointing at the pictures of the monkeys throughout the book. The story itself revolves around Monkey who lives alone, enjoying the peace and quiet until Little one (a mouse) joins him and disturbs his quiet lifestyle by making himself at home alongside Monkey. This intrusion, at first, doesn't go down well with monkey who tries as hard as he can to move away from Little One. At last he manages to evade Little One, who by now has worked out that he is not wanted by monkey, but is this what he really wants? It is not and soon monkey is out searching for Little One so they can live together in harmony. As I said before M loves to point at the monkey images throughout the book and this book is full of wonderful illustrations. I would buy posters of the characters for M's wall if I could as they are so sweet. At the moment this is just a story to M but as she grows older it will be a perfect way to discuss friendships and help her understand about getting on with others. I was given a copy of this book for free for the purposes of this honest review. All thoughts are my own.